Have you heard the rumor that iOS 11 works a bit slower after updating? People say that tasks performance like interacting with apps as well as opening programs became worse after they updated to iOS 11. Though, many other Apple users are quite pleased with a new operating system and notice that its performance has become more effective. I don't know what it depends on, but finding out the reason is not my main task now! If your iPhone or/and iPad work slower after upgrading to iOS 11, try a few tips and tricks I've collected for you in this material. After you do everything like it is outlined in the tutorial, you'll be enjoying a fast functioning of your mobile device. By the way, many tips that improve performance can influence battery positively. So, you achieve both purposes at one time, and it's great! So, let's speed up your iOS! 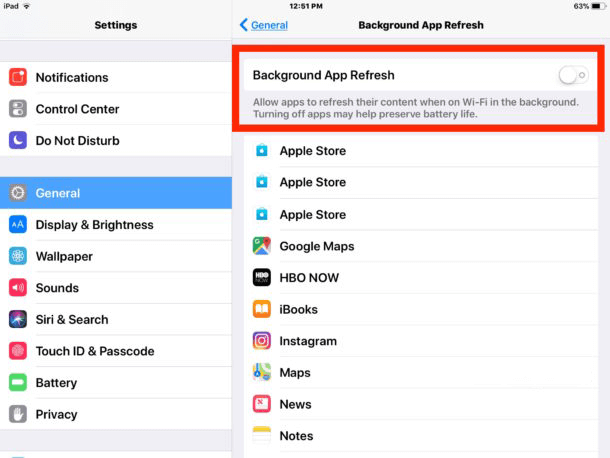 Before we start, I'd like to remind that I have collected tips that may potentially help to speed up your iPhone and iPad. The first two tricks include installing the software updates, and then you should wait a while patiently, and if they don't help, proceed to the next steps in any order you want, not obligatory in the order I've written them. At first, you should check if there updates available for iOS and every app that is installed on your device. Very often software can be the cause of a slower performance and freezes, such bugs can be fixed by updating your system and programs. How to get iOS 11 updates (iOS 11.02 or iOS 11.1, and so on)? Open 'Settings', proceed to 'General', then go to 'Software update'. Choose 'Download and install any updates to iOS 11'. Visit 'App Store', find the 'Updates' tab and find available updates for your apps. The best option is waiting for a few days. Just leave your iPhone or iPad plugged into an outlet for one night. It may complete all the tasks it needs. There is a great chance that it will perform better after waiting a night or two. This variant can also fix your battery problems. ​Background applications refresh lets apps updating themselves without interfering your work, in the background. It is good for quick and multitasking performance. Though, sometimes it can lead to a hit in the overall system performance. You can easily turn it off, and see that the device is speeding up. 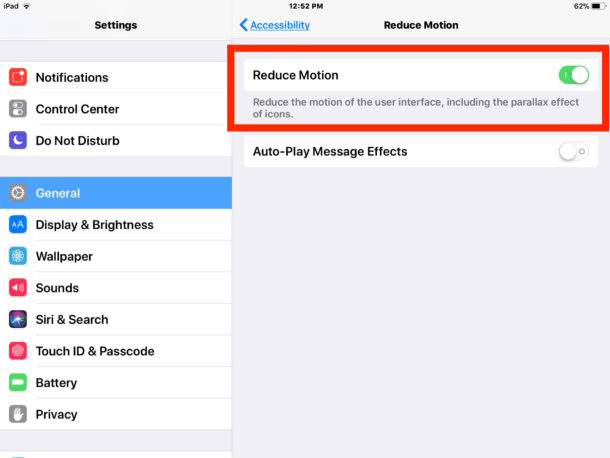 ​You can speed Spotlight and your system by disabling some Siri features such as Suggestions and Lookup​. 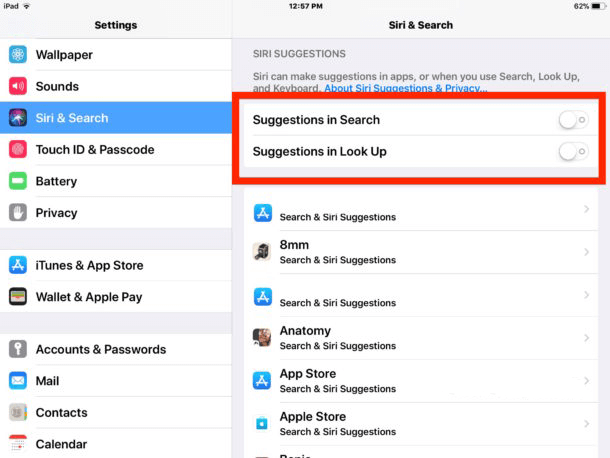 Open the 'Settings' app, find 'Siri & Search', choose 'Suggestions in search' and 'Suggestions in lookup' and change them to 'OFF'. If some incorrect process is running somewhere in the background, or some app is out of control, force reboot may be an effective solution. Hold the POWER BUTTON and the HOME BUTTON together until Apple logo appears on the screen. For iPhone 7 and 7Plus, hold the VOLUME DOWN and POWER BUTTONS together until the logo appears on the screen. After doing this, wait for your smartphone to boot again. ​Using a plain and small size pictures as wallpapers can speed up your device as well. Such images require less system resources and memory, that's why it can surely speed up redrawing of the main iOS screen. Of course, it may look a bit boring with such a simple image, but it will be faster anyway. So, choose some gray picture​ like on the screenshot​, if you like, or find something more bright. iOS 11 uses interesting and well-looking effects for making the UI better, but it requires resources for drawing and rendering them properly. Disabling them can speed up system's performance​​, as it won't have to render all those animations. You can also turn off the 'Auto-play message effects' feature as well, as Messages animations can be a bit sluggish from time to time. The zooming and zipping effects of opening/closing applications will be replaced ​by a fading animation after you turn on 'Reduce motion'. 8. Reduce transparency effects in iOS 11. 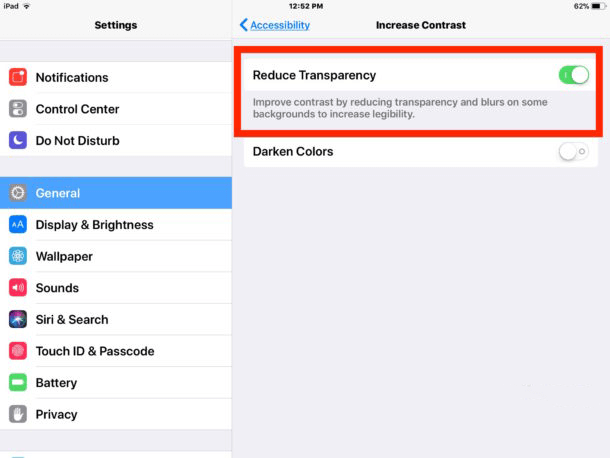 Go to 'Settings', choose 'General', find 'Accessibility', and in the 'Increase contrast' settings turn 'Reduce transparency' ON. ​The amount of free space for storing files ​surely affects the performance of your device. The best option is having more than 10% of free storage space. For instance, free 3Gb is an ideal option for a 32Gb device. 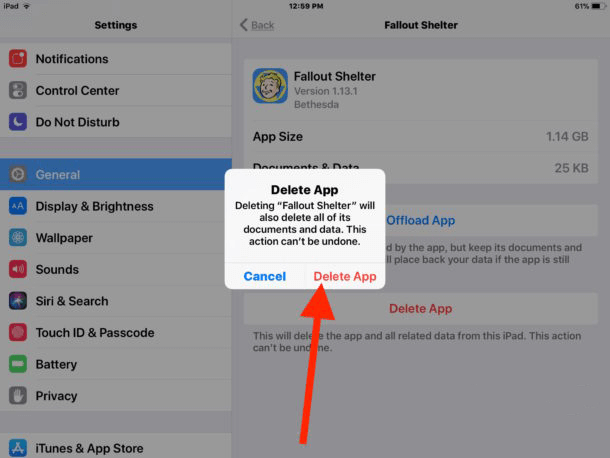 It should be done for having space for the iOS itself, caches, apps updates, and other things. 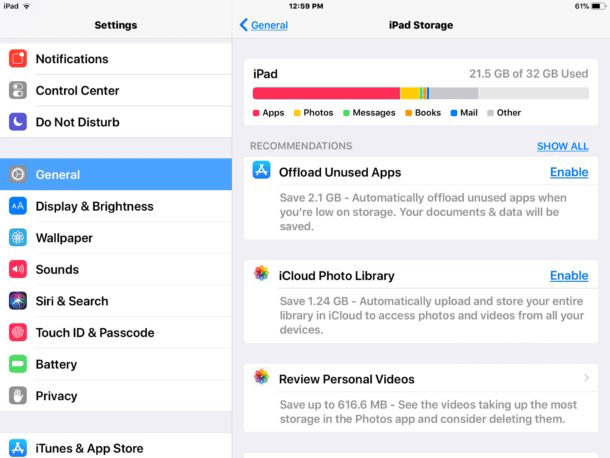 In 'Settings', find 'General', choose 'Storage' It can be labeled as 'iPhone storage' or 'iPad storage'. ​If your iPhone or/and iPad are always lacking free storage space, performance will lower.​ You won't be able to get and install necessary updates to the system software or applications. But this is not the only possible problem you can face. The lack of space for incoming emails, mysterious removing of data from the device, and other issues can appear. So, that's why it's always a good idea to have enough of free space. Some users may get the performance increase by resetting the device. But be careful, remember that you will need to configure your device from the custom settings to your own again. You can to resetting by opening 'Settings', choosing 'General', than going to 'Reset' and tapping on 'Reset all settings'. Backuping a device to iCloud or iTunes and restoring iOS is a usual troubleshooting trick. It may help, if none of other methods worked. Always backup prior to restoring your device, so choose whether you will use iCloud, iTunes or both for this. Connect your iPhone or iPad to your Mac or MacBook, choose 'Restore'. 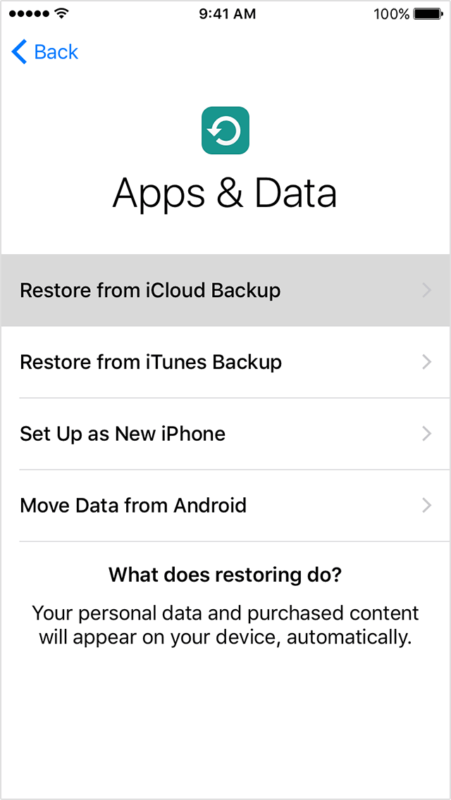 Or restore it directly on the device, with selecting an iTunes or iCloud backup for restoring. Some Apple users can try to set up their device as new, and it means that there's nothing on it at that point. Why not revert from iOS 11 back to the previous iOS 10? Some iPhone and iPad users prefer to downgrade to the previous version of the operating system. In fact, it was possible for a while but for most devices, this is not an option now. The Apple company has stopped signing iOS 10.3.3. I hope that my list of tips and tricks helped you in speeding up your mobile device and now you can really enjoy it's fast and efficient work!